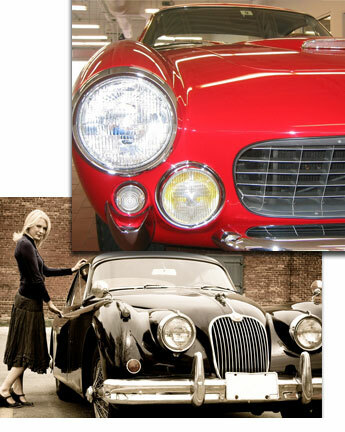 Classic car specialist in Yorkshire, covering the whole of England. We specialise in many makes of classic cars from Aston Martin to Zonda. Our reliable, factory trained technicians, have decades of experience in working with a wide range of quality marques; no job is too big or too small. As we are Aston Martin and Jaguar specialists we cover the complete range from Aston Martin DB2 to DB9 and Jaguars XK120 to ETypes and are able to offer full restorations, servicing, body and colour changes. Top quality customer service is at the heart of everything we offer, ensuring that we communicate with our customers throughout, and making sure there are no unexpected surprises. Our after sales service is second to none; all our customers receive the high quality service that they have come to expect from Classic Car Lab. With our new paint and bodyshop we can replace or fix your car panels if they are corroded or damaged, including wheel arches. A full bare metal re-spray is available if you want to restore the colour of your car or if you want a colour change. Preparation amounts to 90% of the work and we offer a specialist service from gentle soda blasting to powder coating. We also offer a full finishing service, which includes a special resin that can protect your car from corrosion as well as hydrophobic paint protection. With the added bonus of our paint and bodyshop we are able to customise any car, be it classic or new. New panels and interiors can be made to fulfil your dream. We can customise your interiors, having a re-veneering service we can customise dashboards, and any chrome fitting such as bumpers. We are also able to accommodate American Cars. If you haven’t updated your insurance valuation recently for your classic car, in the event of theft or damage, you may not get the full replacement value. To help keep your insurance records up to date we can assess your car and provide a comprehensive report with photos detailing the condition of your vehicle and current market value. We also include a free diagnostic check with this report. We are always looking to buy interesting and rare classic cars, especially barn finds and cars that need attention. We are able to collect your car using our covered transporter from anywhere in England & Scotland, including London, the Home Counties and Edinburgh. Operating from premises of over 10,000 square feet, Classic Car Lab is based in Yorkshire in the North of England, and covers a wide area including Harrogate, York, Leeds, Thirsk, Ripon, Northallerton, Ilkley, Pickering, Sheffield, Wakefield, Beverley and Scarborough. Situated within easy distance of local train stations, the A1 and Leeds / Bradford airport from where we are happy to collect prospective customers.